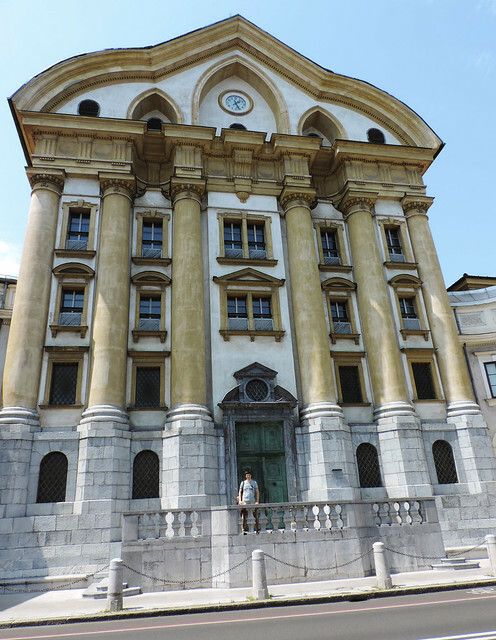 If you are looking for amazing European cities off the beaten path go to the Balkans. That’s the rule we are following now. And after discovering how lovely and underrated city Zagreb (capital of Croatia) is, our next destination was Ljubljana. So get prepared to be introduced to the most charming European capital in this post. And for a small surprise at the end! 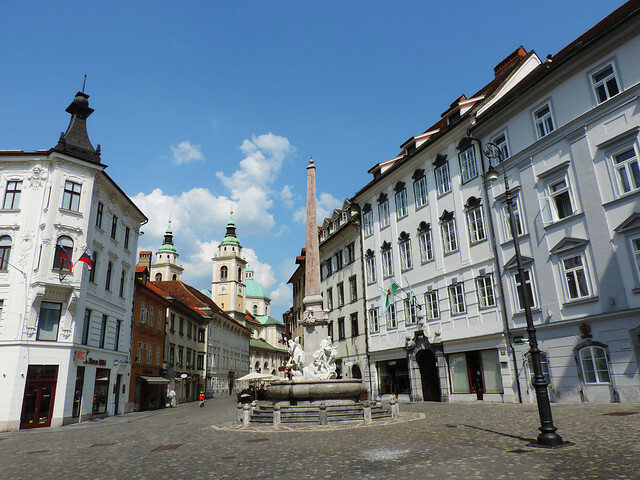 Ljubljana is one of the smallest capitals in Europe. And it’s like your favorite cozy cafe. The cafe that is not nearly as famous nor as majestic as those fancy and elegant restaurants in the city but it’s much more loveable and it’s just good to be there. It’s your happy place. Ljubljana felt just like that to us. 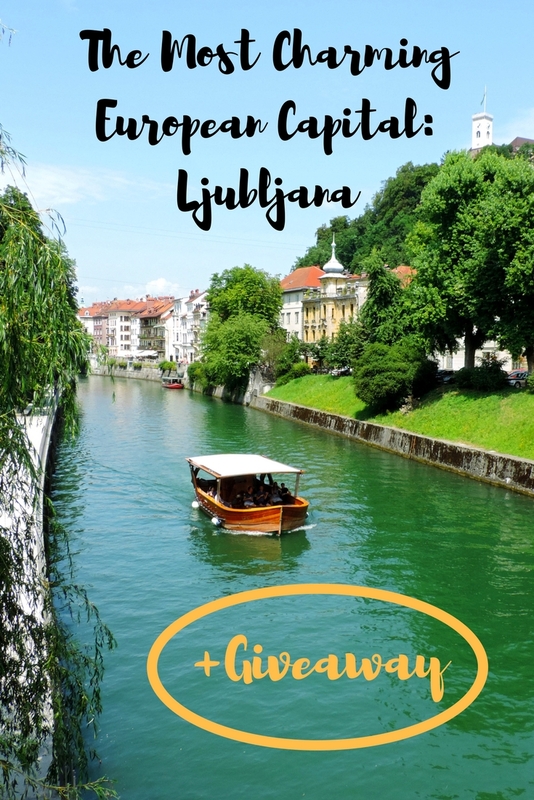 The perfectly green Ljubljanica River runs through its lovely center and all the cute outdoor cafes and restaurants lined by the river make the impression that there’s a never ending street festival. It’s such a liveable and beautiful city as a whole! No wonder it was the winner of the title for the Green Capital of Europe for 2016. Not just because most part of the Old Town is a pedestrian zone but the entire city has nice streets with lots of green and lots of parks. 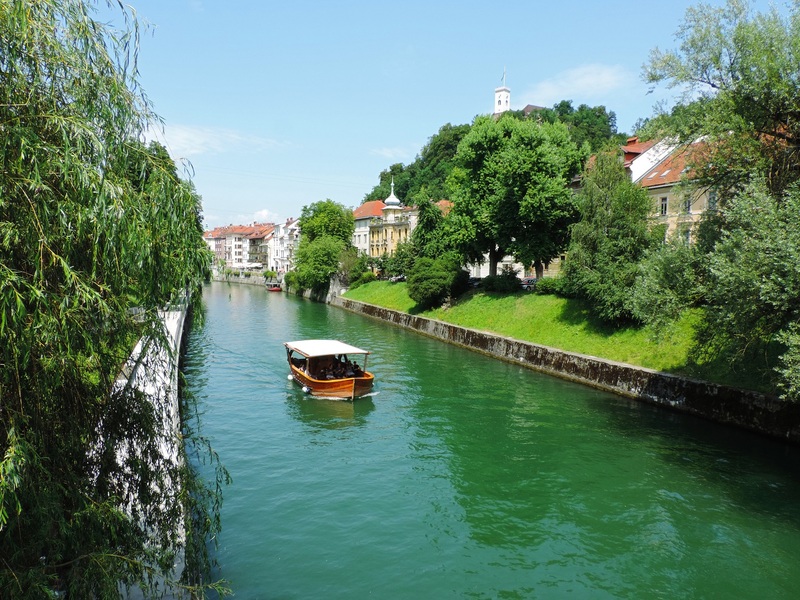 Once you find and follow Ljubljanica River you can’t miss the nicest sights. There’s several tiny and pretty bridges across Ljubljanica – the most famous ones are the Dragon Bridge and the Triple Bridge. Of course, there should be a spot for lovelocks in Ljubljana, too, so pay attention to Buthers’ Bridge if that’s your thing. The Baroque, Renaissance and Art Nouveau buildings of the Old Town are nicely renovated and it’s so easy to get lost in the countless colorful narrow walking streets. Ruins of the medieval Ljubljana Castle watches over the Old Town. This castle offers exhibitions and great views of the city. Prešernov trg is the main square with the Town Hall. This square was transformed into a waterpark at the time of our visit. Not a bad idea because July can be really hot in the city. 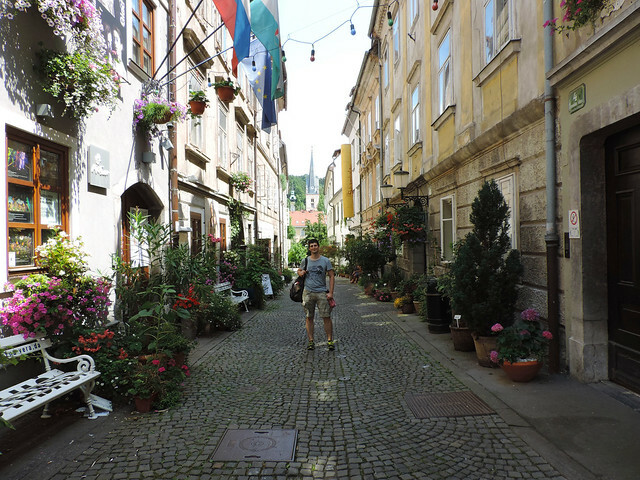 Interiors and inner courtyards are also worth paying attention to while you are wandering in the Old Town. 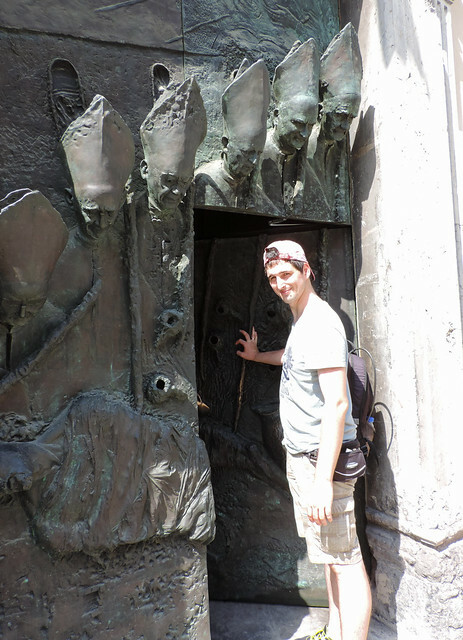 One of our favorites is St. Nicholas’s Church, the cathedral of Ljubljana that has an amazing colorful interior! When you are getting full of the happy and busy vibe of the center head to Tivoli Park, the largest park in Ljubljana. We found several lakes, fountains and sculptures hidden in the park. 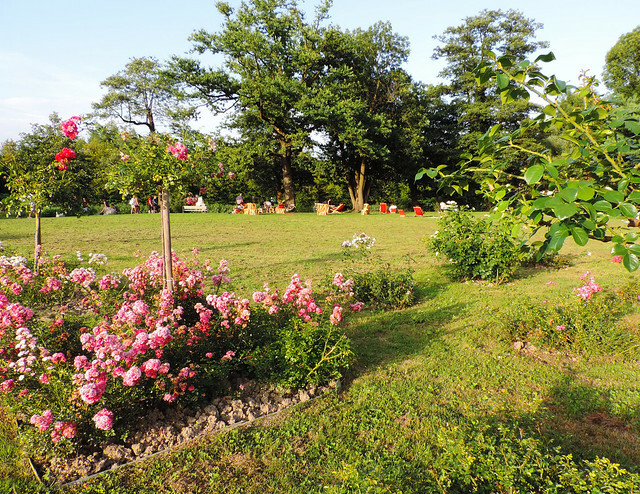 But the best place was an open library right at the rose garden. Isn’t it cool to just grab a book, pick a bench and enjoy the sunshine? And now comes our surprise! Partnered with GPSmyCity we offer FREE promo codes for 20 lucky winners for a self-guided city walks app in the city of their choice. Doesn’t it sound cool to be your own tour guide and explore all the wonderful attractions at your own pace? Once downloaded, GPSmyCity walks work offline so you can always have your tour guide at hand. Giveaway is open worldwide. Entries close on Monday Jan 30th at 6pm EST // Tuesday Jan 31st at 12am CET. To enter the giveaway, you only need to visit Our Wanders on Facebook. To boost your chance you can also tweet about the giveaway and tell us in the comments which city you want to visit next. The free promo code for winners will be sent by email after 31st Jan 2017. The promo codes can be used on both iOS and Android devices. Please note that each promo code is tied to a city. Once a promo code is issued, it will expire in 28 days if it is not used by then. Once downloaded, the City Walks app does not expire. For a list of cities that are covered, visit www.gpsmycity.com! GPSmyCity also offers a lifetime membership discount now. It is available for a month starting from 17th Jan 2017. And it means you can get full access to all articles and self-guided walks as well as all the future GPSmyCity content for $60 – 1% of the cost. See more details here! So which city do you want to visit next? Previous post [Video post] Let Slovenia Steal Your Heart In 2 Minutes! Gibraltar is next on the list, maybe Berlin after that! I would love to go visit NYC. Which city do you want to visit next?